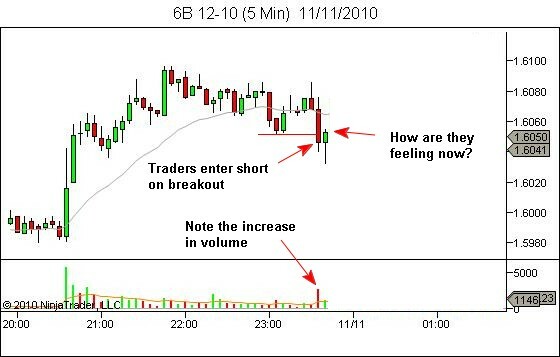 Always think about the other trader. Where have they entered? How do they feel? Where are they going to stop out of their position? What happens as their stops are triggered? 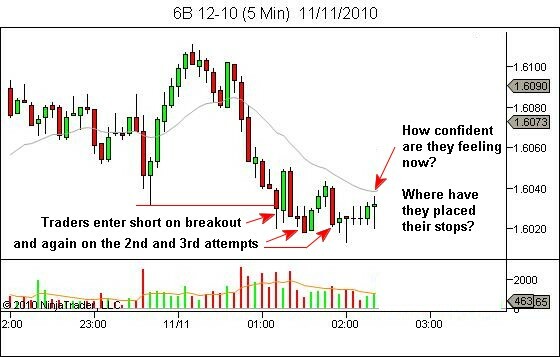 Entering long at the point of their trade failure, provides a great opportunity to profit from their loss. Let’s move forward another half hour…. 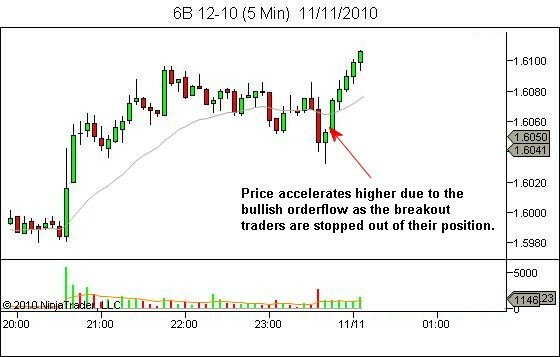 Traders have now entered long following the uptrend pullback, however price has temporarily paused. How are they feeling now? Where would they position their stops? What will happen if their stops are triggered? 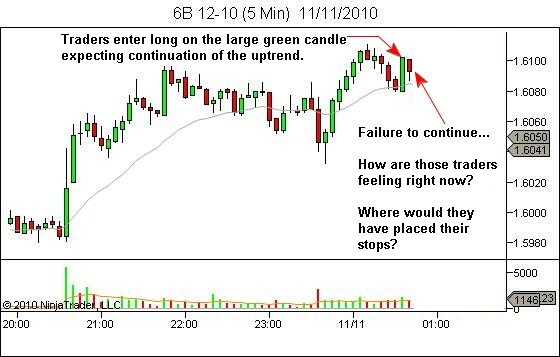 Once again, entering at the point of other trader failure allows us to secure a winning trade. 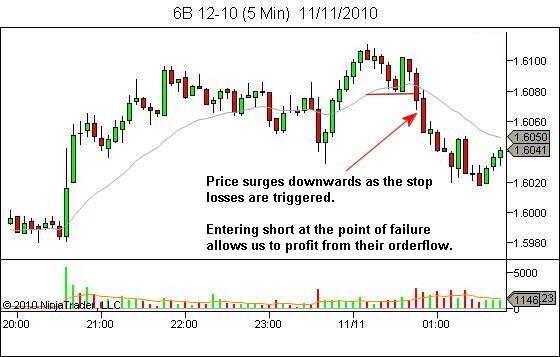 Traders have now entered short, but price has failed to continue lower. How is their confidence in their position right now? Where will they place their stops? What will happen if their stops get triggered? In a zero-sum game, opportunity to profit is found at the expense of other traders. 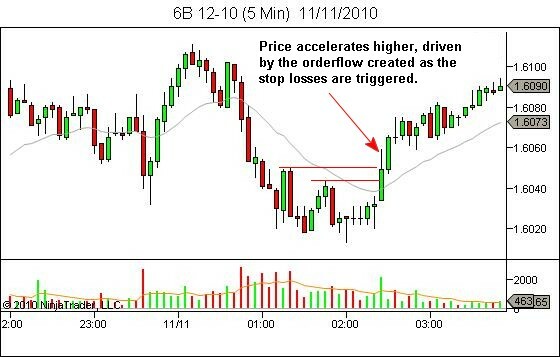 Find the point at which their stops will create a surge in orderflow, and position yourself to profit from that orderflow.